This is an interview that Cheryl made following an event in Oxford where Maria got to talk to experts in Anglo Saxon literature about her work on Beowulf. The interview covers a number of topics, including what it is like to follow in the footsteps of Tolkien. There is also a fair amount of discussion of modern US politics, feminism, and the failings of previous translations. This is another interview that Cheryl did at FantasyCon 2018. It is with Joanne Harris. They talked about Joanne's career as a fantasy writer, Norse myths, her new book, and who might play Loki if her books about him ever get filmed. 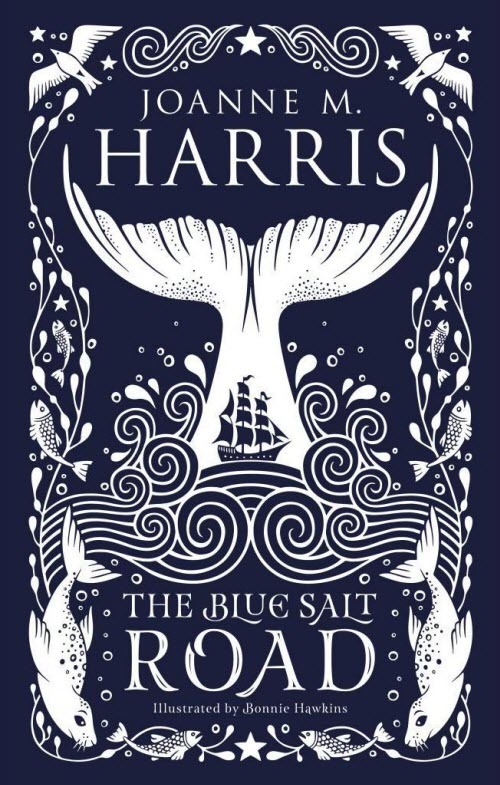 The Blue Salt Road is now available from good bookshops everywhere. Joanne and Cheryl also talked about the Child Ballads, which are the inspiration for some of Joanne's recent work. While Cheryl was at FantasyCon in 2018 she caught up with Tade Thompson. Their conversation covered the success of Rosewater, the scariness of The Murders of Molly Southborne, and what it is like for black writers to live in a post-Black Panther world. A shorter version of this interview as originally broadcast on Ujima Radio Women's Outlook. This interview from Cheryl's radio show, Women's Outlook, is with Bristol-based author, Heather Child. Heather's first novel is a fascinating science fiction look at how smart digital assistants might develop in the near future. 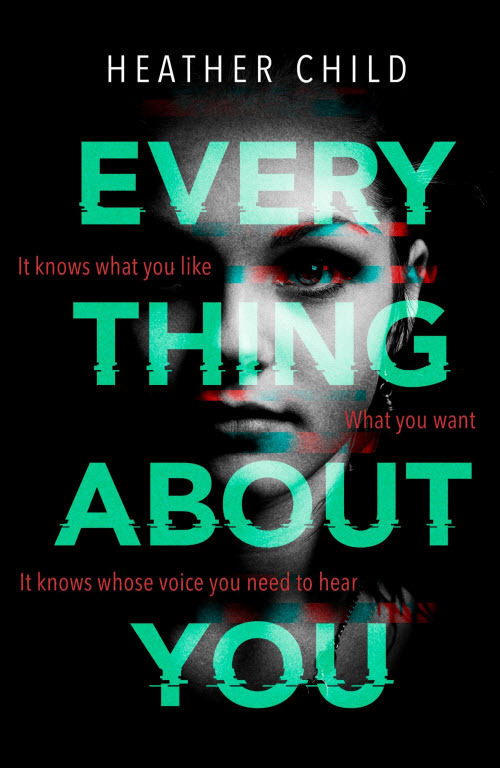 In Everything About You the protagonist, Freya, discovers that an AI can be a very dangerous friend to have. As usual with interviews from Women's Outlook, we have had to remove the ads and music from the podcast version. 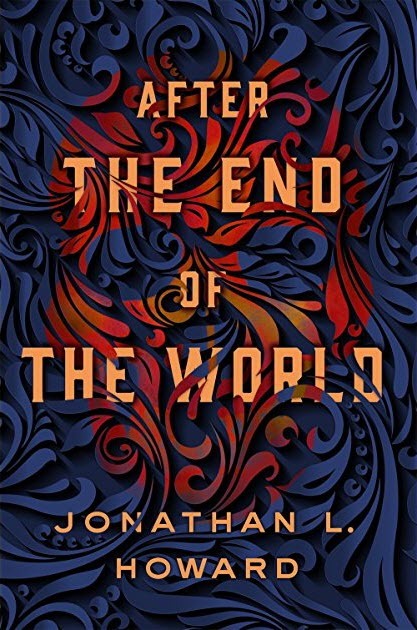 Cheryl welcomed Jonathan L Howard onto her radio show to discuss his latest novel, After the End of the World. The book is set in an alternate universe in which the Nazis won World War II. There is much discussion about how this turned out to be much more topical that Jonathan expected when he wrote the book, and about the merits of Nazi-punching. After the End of the World is the sequel to the critically acclaimed Carter & Lovecraft, featuring descendants of HP Lovecraft and Randolf Carter. There is also discussion of Jonathan's other projects, including the Johannes Cabal series, the Goon Squad superhero adventures, and a brand new video game. 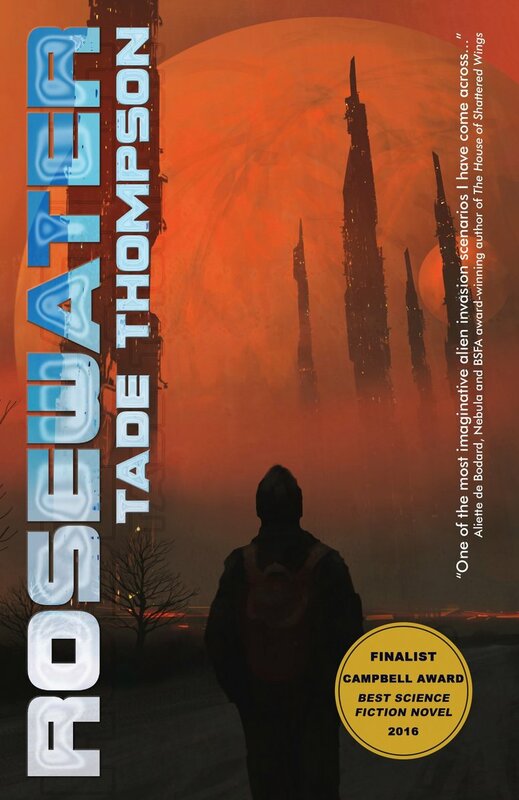 This is an interview that I did with Tade Thompson about a year ago when his novel, Rosewater, was first released. I ran parts of it on Ujima, but the quality of the recording was not good so I was a bit worried about putting the whole thing out. However, Rosewater has just become the first ever winner of the Best Novel prize in the Nommo Awards from the African Speculative Fiction Society. 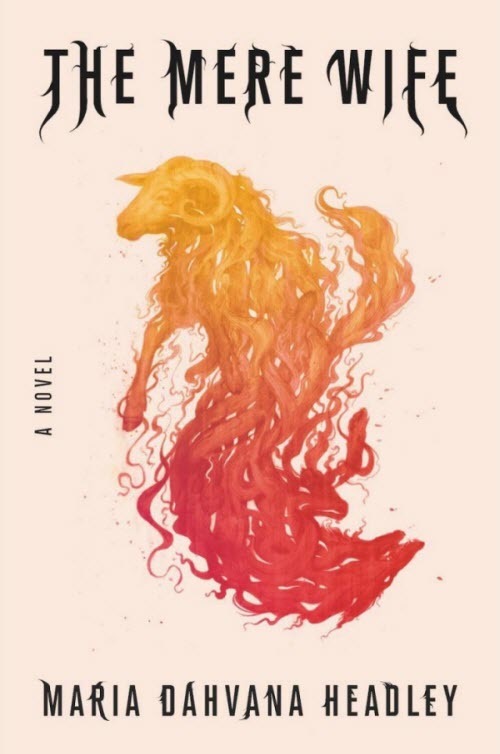 It seems like there should be a lot of renewed interest in the book, and in Tade's other work, and that therefore I should share this podcast with you. 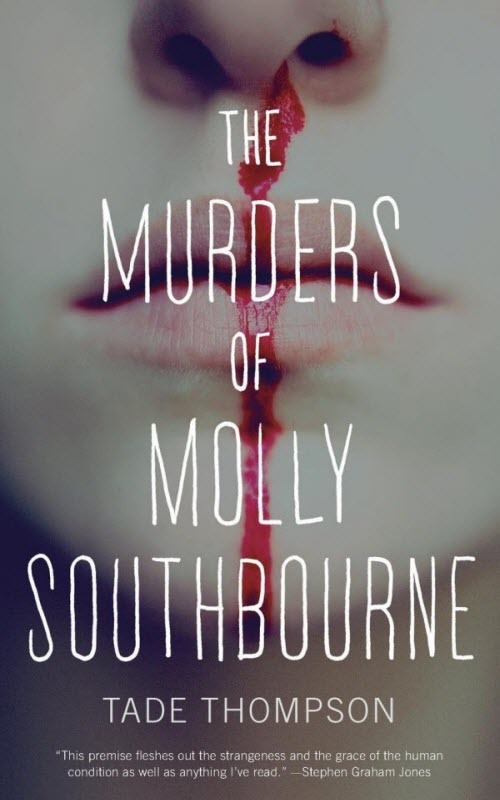 In the interview Tade talks about some of the ideas behind Rosewater, about his now released novella, The Murders of Molly Southbourne, and about writing a ghost story. At Worldcon 75 Cheryl recorded a number of interviews with women writers of color. This one is with Jamaican author, Stephanie Saulter, whose (R)Evolution series has been very well received. For more information about that series, see Cheryl's previous interview with Stephanie here. Parts of this interview were originally broadcast on the Women's Outlook show on Ujima Radio. 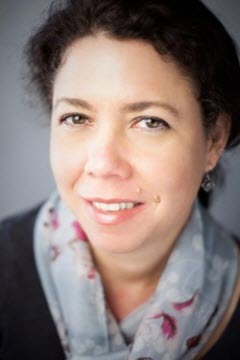 In this interview Cheryl talks to Australian author, Foz Meadows, about her recently published novel, An Accident of Stars. Topics covered include women-centered novels, writing trans characters and matriarchal societies. This is the full version of the interview that Cheryl did with Catherynne M. Valente at Finncon 2016. Parts of the interview were previously broadcast on Women's Outlook on Ujima Radio. The interview covers the whole of Cat's career from her childhood obsession with fairy tales through her student days in Edinburgh, her early success with The Orphan's Tales, the amazing phenomenon that is the Fairyland books and her later adult novels such as Deathless and Radiance. This is a recording of the interview that Cheryl did with Mike Carey at Bristol Waterstones in May. The bulk of the discussion is about Mike's latest novel, Fellside. However, the conversation also strays onto The Girl with All the Gifts, the Felix Castor novels, the X-Men, the Lucifer TV series, and the Steel Seraglio books that Mike wrote with his wife and daughter. Our apologies for the poor sound quality, particularly when picking up audience questions. The event was organized by the Bristol Festival of Literature. Cheryl interviewed Mike Carey on her Ujima show on the very day that X-Men: Age of Apocalypse premiered in the UK. They do chat a bit about Mike's time writing the mutants later on, but the main thrust of the interview is about Mike latest book. Fellside is set in a women's prison, and deals with issues of prison privatisation and drug addiction as well as being a great ghost story. During the interview Cheryl mentions that she will be interviewing Mike again that evening. A recording of that interview will be online here in a few days. This interview with Paul Cornell too place on Cheryl's Ujima Radio show on May 6th. Paul and Cheryl talked about a variety of subjects including Paul's latest Shadow Police novel, Who Killed Sherlock Holmes, and his comic series, This Damned Band. This interview with Cavan Scott took place on Cheryl's show on Ujima Radio on April 8th. Cheryl and Cav talked about various of Cav's writing projects including his Star Wars novels, his Sherlock Holmes novel, his Doctor Who comics and, of course, his work on The Beano. The illustration for this episode is of the Star Wars book that Cav wrote for World Book Day 2016. It became the #1 selling book in the UK. The is the full version of the interview that Guy and Cheryl did for Ujima Radio. The broadcast version was cut down by about 50%. The discussion is primarily about Guy's latest novel, Children of Earth and Sky, but touches on aspects of his other work as well. This interview was first recorded in May 2015 as part of the Women's Outlook show on Ujima Radio. With The Vagrant being published in paperback this month, and the sequel, The Malice, out in hardcover, it seemed like a good time to run with the full version. A few bits of the discussion are slightly dated -- in particular Pete & Emma did not win a Hugo for Tea and Jeopardy -- but the discussion of the book is still very relevant. This interview was first recorded in September 2015. A cut-down version was broadcast on the Women's Outlook show on Ujima Radio. With Regeneration being published in the USA this month it seemed like a good time to run with the full version. The only place where the interview has dated is where Cheryl and Stephanie discuss Marlon James' chances in the Booker Prize. This is the extended cut of an interview that originally ran on the Women's Outlook show on Ujima radio. Tobias is originally from Grenada but now lives in the USA. The interview explains how he came tomake that move, and how it ties in to one of the themes of his latest novel, Hurricane Fever. Tobias also talks about the inspiration behind his secret agent hero, Prudence Jones, and about how he managed to become a successful author despite a life-long struggle with dyslexia. As usual the interviewer is Cheryl Morgan. This is the extended cut of an interview that originally ran on the Women's Outlook show on Ujima radio. Rhonda is a writer from Trinidad, and her debut novel, Lex Talionis, is available from Dragonwell Publishing and the usual retail outlets. The interview covers the book, Rhonda's journey to becoming published, and a little bit about life in Trinidad. As usual the interviewer is Cheryl Morgan. This is an interview with Kathryn Allan, the current recipient of the Le Guin Feminist Science Fiction Fellowship. Cheryl talks to her mainly about the crowdfunded anthology project, Accessing the Future, which she is co-editing with Djibril al-Ayad of The Future Fire. The anthology will focus on themes of disability in science fiction. This is an interview with Nick Harkaway that original ran on the Ujima Radio Women's Outlook show. It was recorded prior to an event at Mr. B's Emporium of Reading Delights. Cheryl talks to Nick about his latest novel, Tigerman; about fatherhood, his love for comics, and why writers never grow up. This is the extended edition of Cheryl's interview with Leah Moore, exceprts of which were first broadcast on Ujima Radio. In the interview Leah talks about following in the footsteps of a famous father, about motherhood, and about the Electricomics venture that she has started with (amongst others) her father and her husband, John Reppion, with the support of the Digital R&D Fund for the Arts. For more information about Electricomics see their website, or follow them on Twitter and Facebook. The Digital R&D Fund for the Arts is a £7 million fund from Arts Council England, the Arts and Humanities Research Council and Nesta to support collaboration between arts projects, technology providers and researchers to explore the potential of increasing audience engagement or find new business models. Separate Digital R&D Fund for the Arts are being run in Wales and in Scotland. This is the second part of the readings from the June 2014 Word of Mouth event. Joanne Hall reads from a currently unsold novel, The Summer Goddess. Pete Sutton reads a story from a collection he is writing in which each story is inspired by the counting magpies folk song. Scott Lewis reads the rest of the story that he started in Part 1. Once a year the BristolCon crowd takes over Word of Mouth, a monthly reading series run by Tangent Books and hosted by the Thunderbolt pub. Normally we'd put these readings on the BristolCon Fringe podcast stream, but that has limited capacity and these readings turned out to be quite long, so they are being hosted by Salon Futura instead. The three readers are Pete Sutton, Joanne Hall and Scott Lewis. Pete's story in this section is a rare (for him) science fiction piece. Jo reads from her latest novel, The Art of Forgetting: Nomad. And Scott reads the first part of a steampunk horror story that will conclude in Part 2. This is the Guest of Honor Interview with Karen Lord that took place at Åcon in Mariehamn, Finland in May 2014. The interviewer is Cheryl Morgan. Karen is the author of the award-winning novels, Redemption in Indigo and The Best of All Possible Worlds. Tech services at Åcon are provided by Jonas Wissting to whom we are indebted for this recording. Karen is an author from Barbados. Sari & Juha both have an academic interest in post-colonial SF. Cheryl is a critic. This is an interview with Gareth L. Powell that I did on Ujima Radio on December 18th, 2013, shortly after the launch of Gareth's novel, Hive Monkey. The first book in that series, Ack-Ack Macaque, has just become joint-winner of the 2014 British Science Fiction Association Award. The podcast of material from Hive Monkey is available here. This is a podcast of the interview with Nalo Hopkinson broadcast on Ujima Radio's Women's Outlook Show on February 5th. It covers most of Nalo's novels, especially the latest, Sister Mine. We also discuss the state of LGBT rights in the Caribbean. My apologies for the poor sound quality on my voice during the interview. This interview was originally recorded for a Ujima Radio show to be broadcast on March 19th. However, as Ujima is off air at the moment, I am podcasting it here instead. The interview is mainly about Karen's latest book, We Are All Completely Beside Ourselves, which has just launched in the UK. Karen will be at Foyles in Bristol on the evening of the 19th. This is an edit of a show about Afrofuturism that I did in November 2013. The studio guest is Tade Thompson and there are pre-recorded interviews with Bill Campbell, Tobias Buckell and Rochita Loenen-Ruiz, which were done at World Fantasy. For copyright reasons the music that I played during the show cannot be included in this podcast. Nene asked me to add that after the show she remembered that Swedes do call some Danish pastries Viennese. The interview was originally broadcast on July 24th. The interview was originally broadcast on August 14th. This is a podcast of the Q&A session from the June 2013 Science Fiction in San Francisco event. It is moderated by Terry Bission and features Cliff Winnig, Heather McDougal and Cassie Alexander. SF in SF is a monthly reading series sponsored by Tachyon Publications and run in aid of the Variety Children's Charity of California. Wizard's Tower is delighted to provide podcast space to allow this excellent event to be enjoyed worldwide. This is a podcast of the third reading from the June 2013 Science Fiction in San Francisco event. The reader is Cassie Alexander, who entertained us with an extract from her novel, Shapeshifted. This is a podcast of the second reading from the June 2013 Science Fiction in San Francisco event. The reader is Heather McDougal, who entertained us with an extract from her novel, Songs for a Machine Age. This is a podcast of one of the readings from the June 2013 Science Fiction in San Francisco event. The reader is Cliff Winnig. This is a podcast of an interview that Cheryl did with Joanne Hall as part of the Women's Outlook show on Ujima Radio. Topics addressed include Jo's book, The Art of Forgetting: Rider; QUITLTBAG characters in fiction; the Bechdel Test; and Bristolcon. The interview was originally broadcast on June 26th. An interview with Madeline Ashby, author of vN and iD, which took place in Toronto in June 2013. Cheryl Morgan interviews Graham Sleight about the new third edition of the famous Encyclopedia of Science Fiction which is due to be launched any day now. Graham is the business manager for the enterprise. The encyclopedia is being written primarily by John Clute, David Langford and Peter Nicholls, with a large number of guest specialist contributors. The official website of the new encyclopedia is here. There is also a working website here with sample entries and the contact form by which the editors can be contacted. The encyclopedia blog, which Graham mentions in the interview, can be found here. The new encyclopedia is part of the Gollancz SF Gateway project, which is online here. This is a recording of a panel from the 2011 Eurocon, held in Stockholm in June. It featues a panel titled "Men, Women and Neuters in SF and Fantasy". The panel members were Kari Sperring (moderator), Ian McDonald, Elizabeth Bear, Johan Jönsson, Kristina Knaving and Cheryl Morgan. The recording also features audience contributions from Charlie Stross and (briefly) Amanda Downum. Our thanks to the Eurocon committee for providing the raw audio. This podcast contains interviews that Cheryl Morgan conducted at the launch party for the British Library's science fiction exhibition. For more details see the show notes at Cheryl's blog. Following the recent release of the 2011 Hugo Award nominees, Cheryl Morgan and Kevin Standlee, ably assisted by John DeNardo of SF Signal, boldly dive into the dark underbelly of the Hugo Award rules in search of enlightenment. How notes for this podcast will be available at the Science Fiction Awards Watch website. This month on The Salon Cheryl Morgan and her guests discuss how book covers are designed. With Cheryl in The Salon are artist, John Picacio, art director Irene Gallo, and former Barnes & Noble buyer, Joe Monti. For more information about the matters discussed in this podcast see the Salon Futura website. This month on The Salon Cheryl Morgan and her guests discuss science fiction for younger readers. With Cheryl in The Salon are David D. Levine, Imogen Russell Williams and Ben Jeapes. This month on The Salon Cheryl Morgan and her guests discuss writing science fiction, fantasy and horror novels that are also crime novels. With Cheryl in The Salon are Jon Courtenay Grimwood, Aliette de Bodard and Mike Carey. Cheryl Morgan talks to editor, Ann VanderMeer, about <a href="http://www.weirdtalesmagazine.com"><em>Weird Tales</em></a> and some of the projects she is working on with her husband, Jeff. This month on The Salon we welcome three people who run their own science fiction and fantasy publishing businesses. To find out just what it takes to do this sort of thing, and what the various changes affected the publishing business will mean for a small press, listen to L. Timmel Duchamp (Aqueduct Press), Alisa Krasnostein (Twelfth Planet Press) and Sean Wallace (Prime Books). This is a podcast from Salon Futura's siste web site, Science Fiction Awards Watch. In it Cheryl Morgan and Kevin Standlee answer questions about the Hugo Awards from their invited guests: . If you have any follow-up questions you can ask them at: http://www.sfawardswatch.com/?p=3925. This month on The Salon Cheryl Morgan and her guests discuss which 2010 graphic stories might be good candidates for the Hugo Award. With Cheryl in The Salon are writer Maura McHugh, retailer and blogger Joe Gordon, and podcaster David Monteith. This month in The Salon we discuss whether steampunk is necessarily all about empire. The guests are Karin Lowachee (from Canada via Guyana), Lavie Tidar (from Israel) and Jeff VanderMeer (co-editor of two steampunk anthologies and other steampunk-related books). For more information about things discussed in this podcast see the Salon Futura website. The Salon; Is Fantasy Gendered? Cheryl Morgan talks to Glenda Larke, Lou Anders and Tim Pratt about whether some fantasy fiction is specifically aimed at one gender or another. Cheryl Morgan talks to Nicola Griffith, Hal Duncan and Catherynne M. Valente about how and why writers should use lesbian, gay, bisexual and transgender characters in their work. Each month Cheryl Morgan invites a number of celebrity guests to visit The Salon and talk about some topic related to speculative literature. This month we welcome Gary K. Wolfe, Nnedi Okorafor and Fábio Fernandes. The topic of conversation is, perhaps appropriately, The Conversation -- how we talk about science fiction and understand its history.